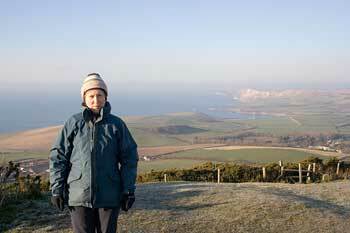 A few photos from our wonderful walk in Dorset on December 28th. 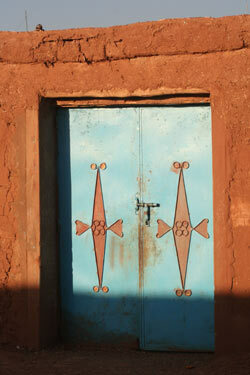 I’ve added new photos to the library, from our Family Adventure in Morocco back in June. This was the first outing for Caroline’s new Canon EOS350D. Caroline took some great landscapes. I took a lot of pictures of blokes. 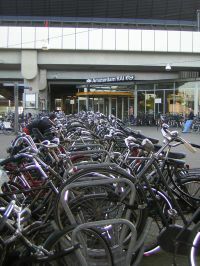 In Amsterdam, everybody rides a bicycle. They don’t make a big thing of it. You won’t see anybody racing by in shiny lycra, or even wearing a helmet. The bikes are all similar – large and heavy, with high handlebars, luggage racks and dynamo lighting. The riders come in various ages, sizes, and genders, but they all proceed at a uniform pace of around 10 mph, often chatting in small groups. I liked Frank Lee’s photos of bikes in Amsterdam. Amsterdam streets have separate bike lanes, and there’s a special bike lane phase at traffic lights. You can take your bike on the train, too. If you go by public transport in Amsterdam, a single ticket will allow you to travel from A to B by any combination of bus, tram and metro. John Prescott, eat your heart out! Yes, at long last, I have completed editing our holiday photographs from South Africa (that’s right, our holiday in October/November last year!) You can view them here.